Happy Monday friends! 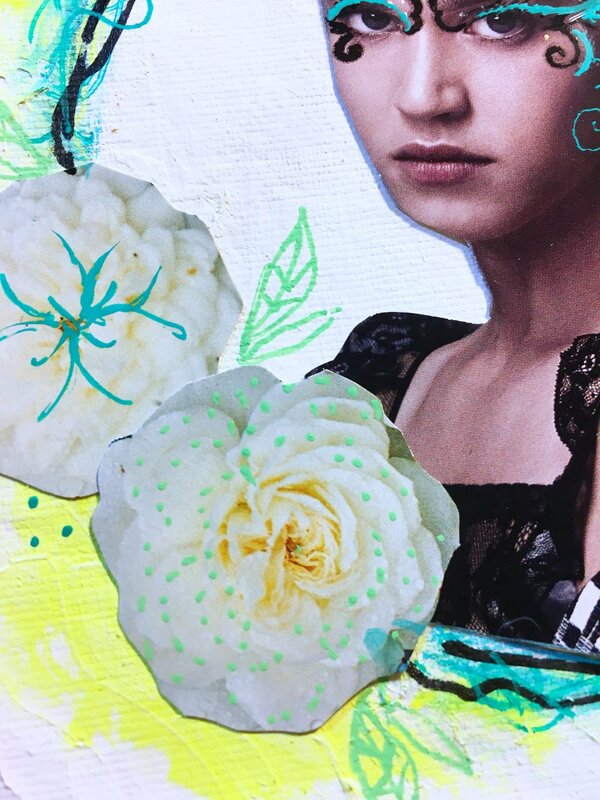 My friend Samie and I are back to share a new Moodboard and our art journal pages that are inspired by our Moodboard! 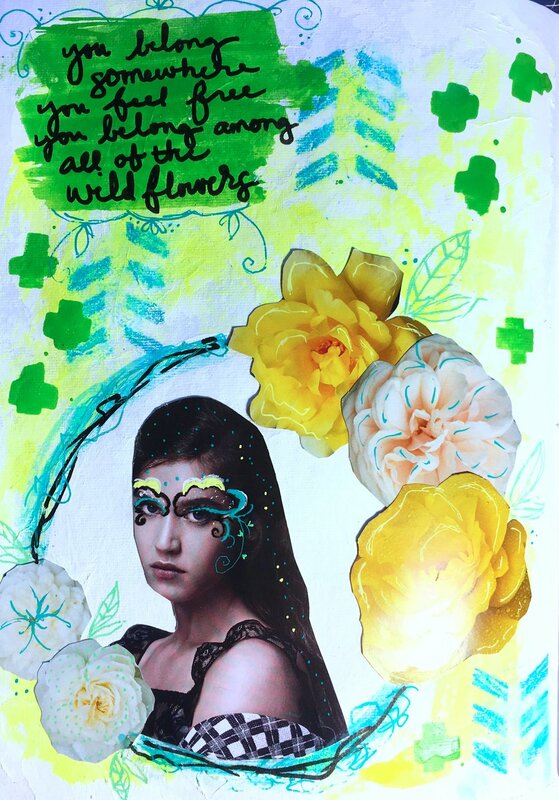 This week I chose bright yellows greens and teals! I started my page by adding a quick coat of gesso for some texture! Then I used some fluid acrylic and a paper towel to spread the paint out! Next I painted a white circle and added the girl from a magazine. I doodles on her and around the circle, I also added flowers and doodles on those too! I added a quote, some stenciling and some plus signs with my big paint markers. This page is a bit of a change for me but was so much fun to put together! I hope you enjoyed my little walk through and Moodboard! Please check out Samie’s page and tag me on Instagram if you decide to play along! Happy Monday friends!